The Nissan Altima is a great family car very spacious inside and has a great look on the outside. A way to make your Nissan Altima personal would be changing your day time running lights to switchback LED daytime running lights and turn signals. 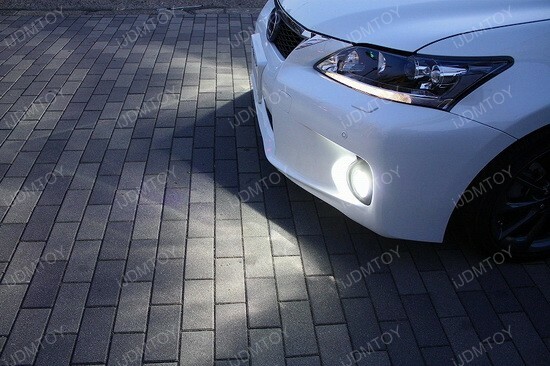 This is an easy way for you to stand out from the rest and makes your car have an additional feature. 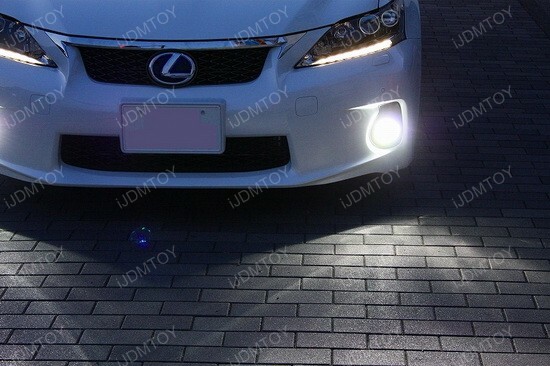 Not only are these LED’s functional but also add brighter and more noticeable front daytime running lights so that people will always be able to see where your car is. 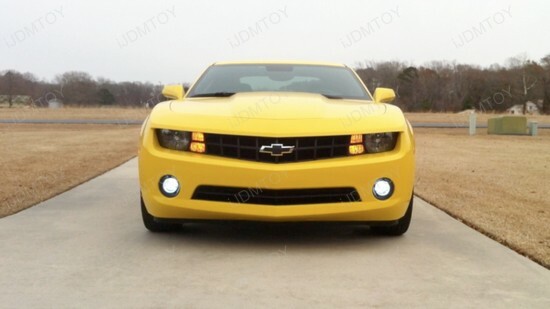 The owner of this gorgeous yellow 2011 Chevy Camaro is obviously fond of LED upgrades and replaced the stock halogen bulbs for turn signal lights with 3157 Switchback LED bulbs. 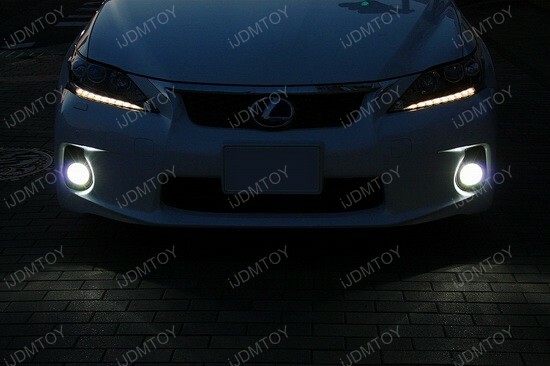 The moment I saw these lights in action, I knew this mod is going to be the new trend in the automotive world. 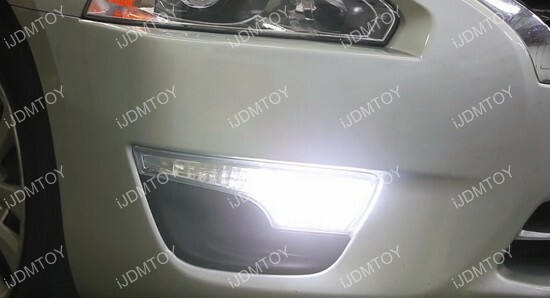 These 3157 LED bulbs can emit two different colors: Xenon White for parking lights and driving lights and Amber yellow for turn signal lights. 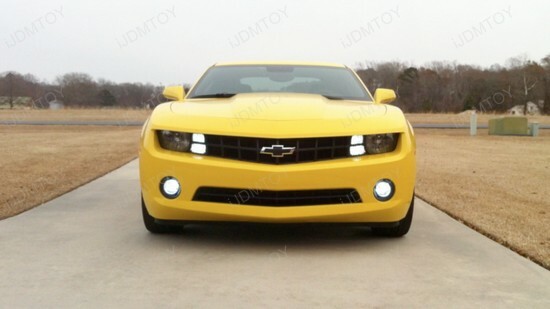 Every time I see this 2011 Chevy Camaro, only one word comes up: "Stunning!". 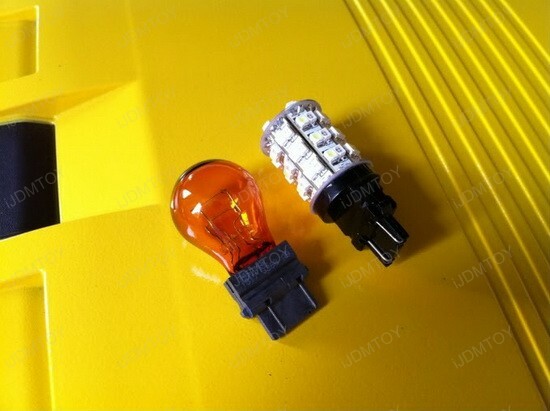 The High Quality iJDMTOY 3157 Switchback Bulb has 30 pieces white SMD LED lights and 30 pieces amber SMD LED lights. 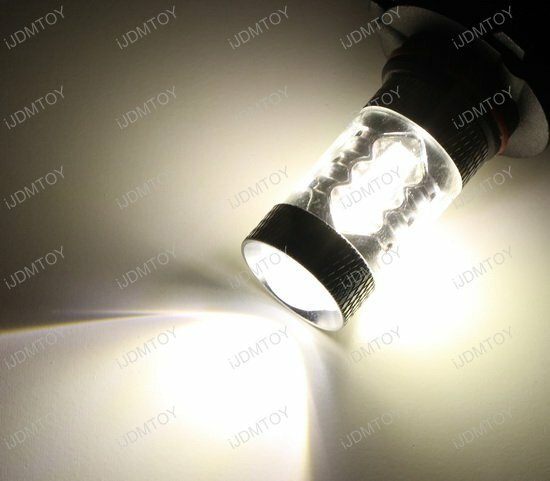 The bulb is designed to light bright white when the running lights are on. 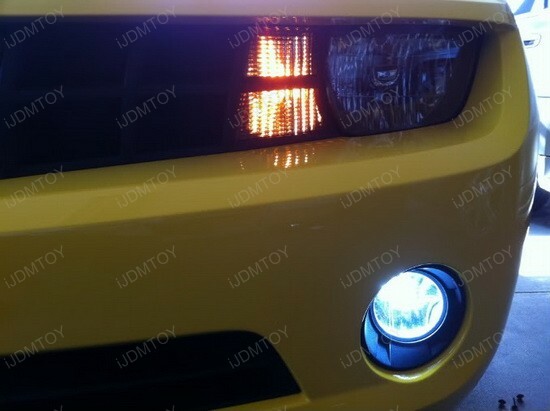 When the turn signal is activated, the light will instantly switch from white to amber and start flashing. 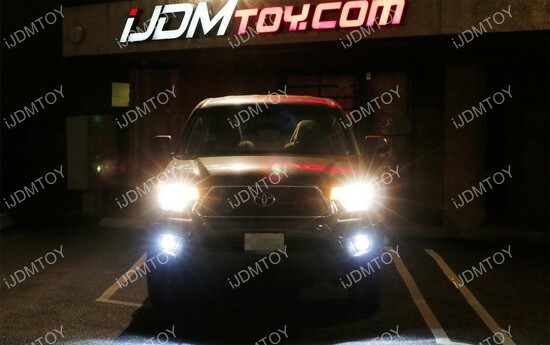 Installing the 3157 Switchback LED bulbs in most cases is as easy as duck soup – plug and play. 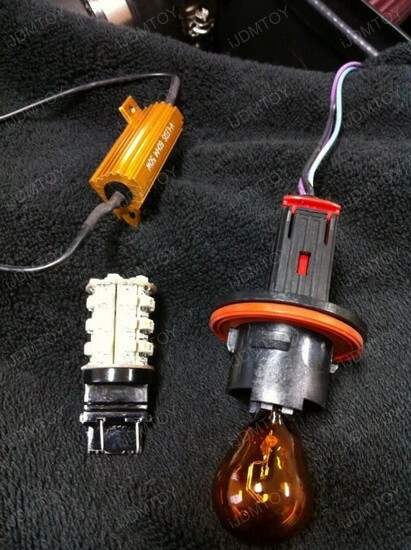 Please note that if you are using these LED bulbs for turn signal lights and they flash really quick, you need to add a pair of load resistors to prevent hyper flashing or malfunction problem. LEDs use less power so if you run without the resistors the car thinks a bulb is out (you will get a error and the lights blink fast). The resistors simulate the load of a regular filament bulb. 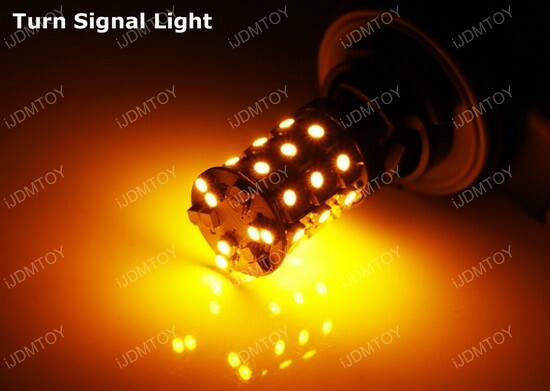 Anyway, feel free to ask us any questions regarding this product and its installation, because if your car has single filament bulb housings, these switchback LED bulbs won’t work – they require dual filament housings. 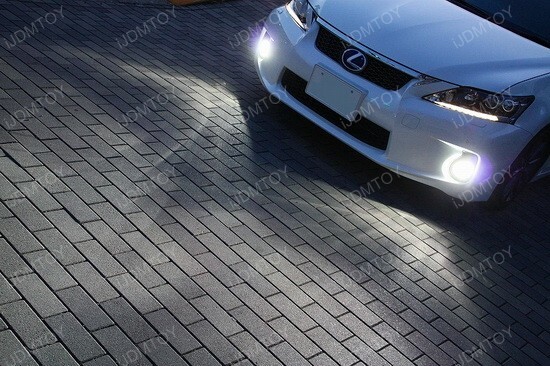 However, we offer single filament switchback LED, but it’s better to contact us first for more details. 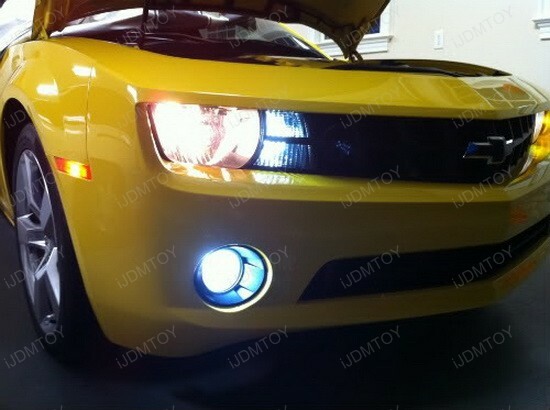 This 2011 Chevy Camaro with 3157 Switchback LED bulbs is a dream to drive, looks really fancy and if you don’t want to miss the chance to improve the look of your car, you should definitely try with Switchback LED. I just can’t think of a better way to make impression to everyone on the road just like this Chevy guy.